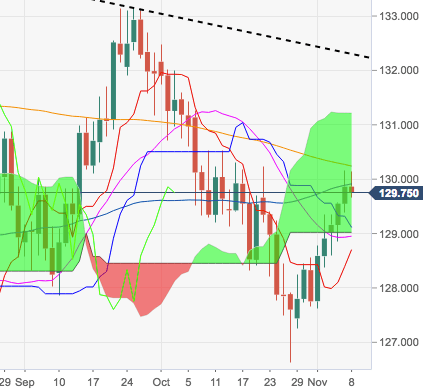 The recovery in the cross met strong resistance in the boundaries of the key 200-day SMA at 130.2, provoking failure and the ongoing knee-jerk after five consecutive daily advances. Immediate target on the upside remains the 200-day SMA at 130.21. A sustainable breakout of this area should pave the way for a visit to late-August peaks around 130.90. In order to reassert the upside pressure, EUR/JPY needs to break above the resistance line off YTD tops, today at 132.29.